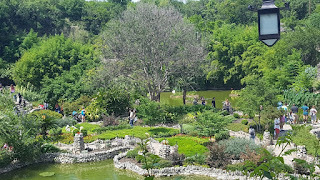 There are many tourist places in San Antonio with free admission. 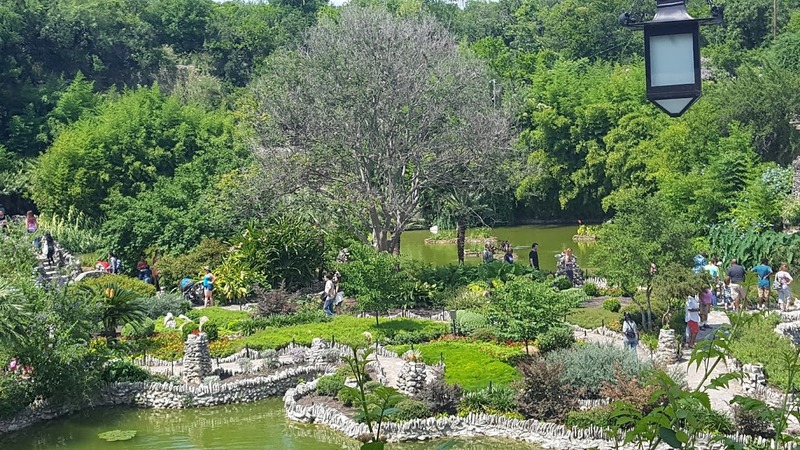 One of those is The Japanese tea garden in Breckenridge park. 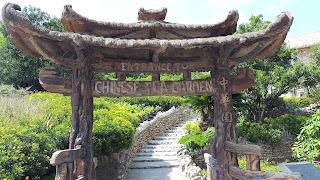 This place is also known as Sunken garden / Chinese tea garden. 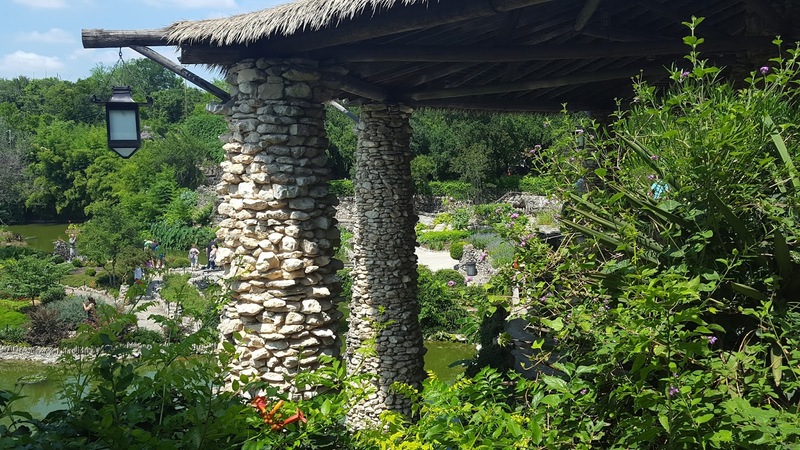 It was opened in the early 20th century which was an abandoned limestone rock quarry as per the Wikipedia. It is listed in US National register for historic places. During the world war II, It was renamed to Chinese Tea gardens to avoid destruction. We have decided to visit the place with kids after reading the reviews about the waterfall and a pond with fishes there. What's fun than going to a water body to cool off the scorching heat in summer? Monsoons started in India and we miss rains after coming here. The garden is open between 9am to 5pm. But, the Sun won't set till 7 pm here. So, visiting a place before 5 pm is like walking in the afternoon heat. We applied enough sunscreen and insect repellent to start the walk. 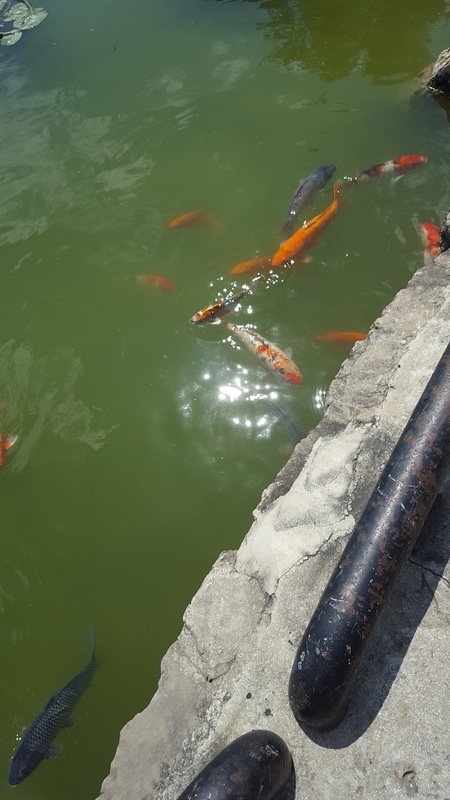 The place has a nice garden, a cafe, a pond with many fishes, lot of trees and shade, a waterfall and a wooden bridge. The waterfall is not that great but kids enjoyed watching fish in the pond. The place is great to take photos and have a walk under trees. We expected it to be a big garden but it didn't take more than an hour to walk around. It would have been great if they change closing time to 8pm in summer. This place is wonderful to sit and relax with cool breeze hitting on the face in the evenings. 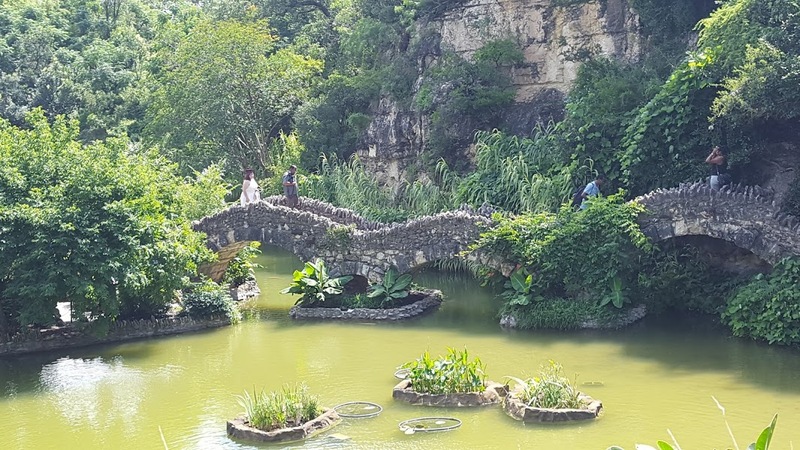 Since this place is near Brackenridge park and San Antonio zoo, we can cover those too. Don't miss the train ride in Brackenridge park if you have kids! Suniana, It is Japanese garden but renamed as chinese tea garden to avoid destruction and violence during world war 2. SO many beautiful places in this world. Looks like a pretty place. Thanks for sharing. And what about the tea plants there?Do they have many exotic varieties? This was such a beautiful tour Ramya. Look forward to more posts on your further travels. Such a cute place. Japanese gardens are so charming. Such a beautiful place that is. No tea plants here Shubha. Its just garden but designed very well. Thanks Kala. Will update more soon. Yes eesha. Since the design is in Japanese style, it might have got that name. Yes Ami, thanks for dropping by. This garden and post reminded me fondly of my late husband. He was a tea junkie and a lover of all things Zen, he would have enjoyed visiting here. Thanks for the trip down memory lane. Thanks for dropping by Erica. Glad that it reminded you of good days. I love Japanese gardens. I haven't been to San Antonio since 1976; I did visit the zoo but even in the winter (when I was there) this must have been lovely. And, to expand on something you said for the benefit of at least one of your commenters, we in the United States were at war with Japan during World War II. To our shame, many of our citizens (and many were citizens) of Japanese origin were put into interment camps. I can easily see where this garden had to change its name. Thanks for your detailed insight on name change Alana. That looks lovely. I'd love to see this someday. Walking in a garden is a happy thing. The water bodies and the greens - nature at its best. Yes Parul. I too like the walks in the garden. Wow! I love the nature's beauty. Thanks for dropping by aura. 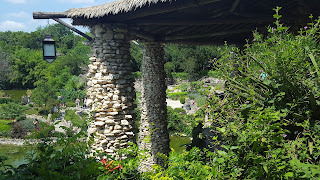 Japanese and Chinese gardens are always so beautiful. I've been to one here in Sydney and went to one in Montreal when I was there.